← My Tires LOVE Nails and Screws! 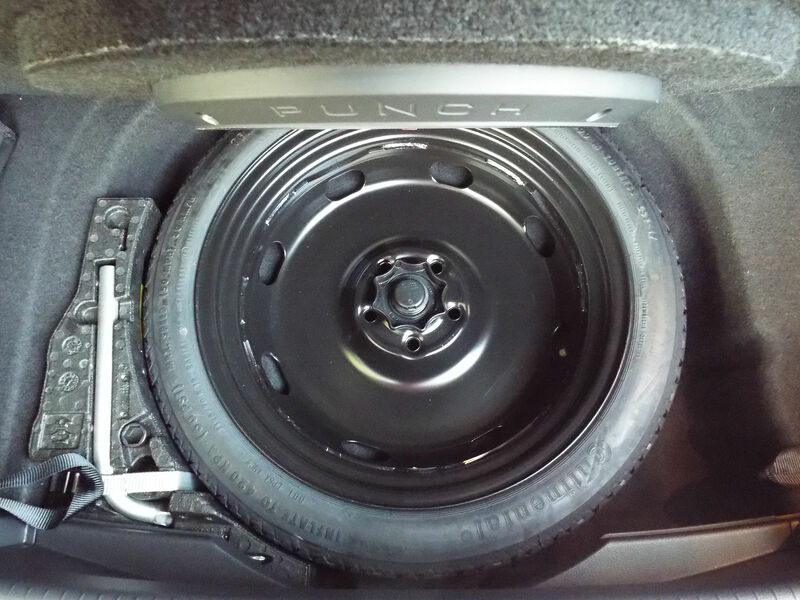 As I routinely accessed the spare tire area to make small improvements to my electronics package, I learned that the spare tire could not be removed unless I emptied the entire trunk, to include removing the floor panel, due to the way the trunk’s rear trim piece was made. This photo shows the factory trim piece with a straight edge, presumably for a cleaner look. 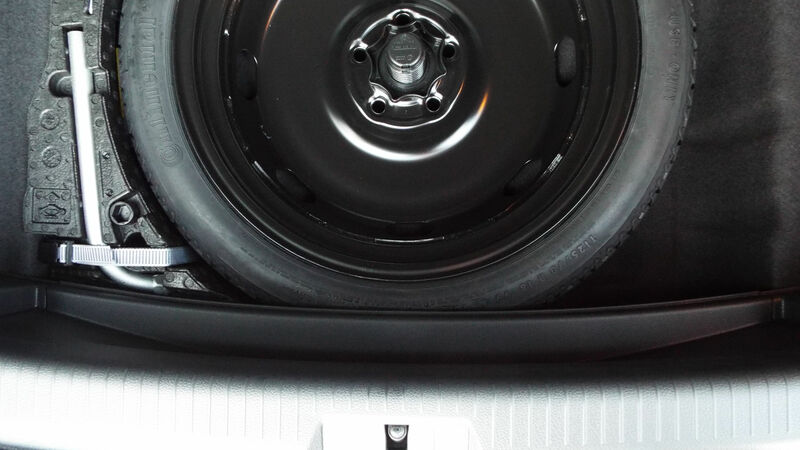 However, this clean look blocks part of the tire and requires that it be shifted forward before being lifted up and rearward for removal. This is fairly inconvenient, even when the car is unloaded and driving locally. 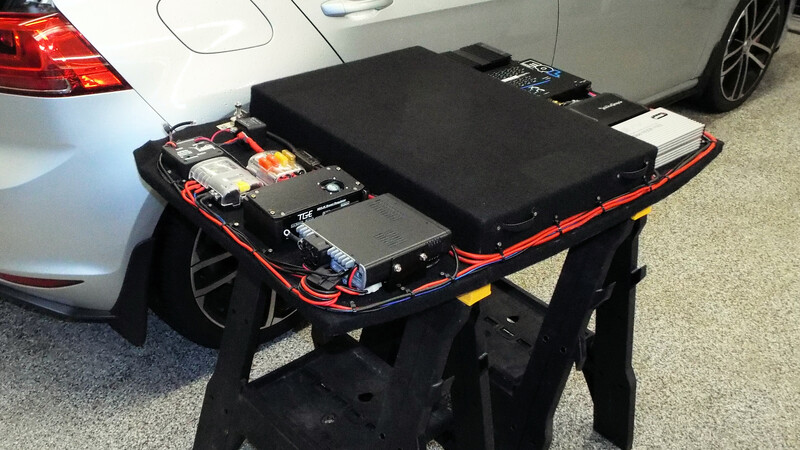 Imagine having to unpack the trunk during a road trip or on a rainy day. Now imagine having to remove a 68-lb electronics panel anywhere but home with a proper stand to protect the subwoofer (see this photo). Regardless, I’ll never remove that panel in the rain! I needed to improve my access to the spare tire. While I was at it, I put the top foam keeper for the jack back into place. 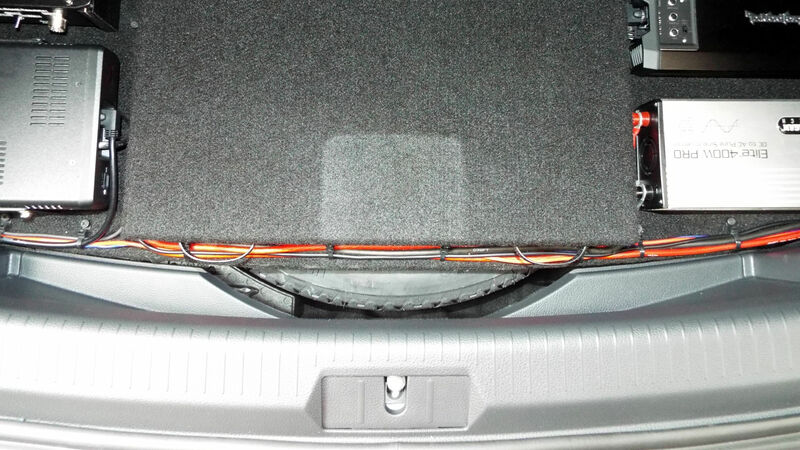 I had removed it because I felt that it interfered with the way the electronics panel sits in the trunk. I’ve since decided that a 10mm isn’t going to kill anything; the foam may even compress under the weight of the electronics panel over time. Now my tow hook, lug wrench, and screwdriver are back where they belong. There’s a place for the lug bolt cover tool, too, but I still keep it in the glove box for convenience. After all was said and done, it’s good to know that removing the spare tire and tools is MUCH easier now. I’ve included a few photos in the album below. I replaced the rear trim panel with the trim panel for the Golf with full-sized spare to allow the spare tire to lift straight out.